I hear you asking: "What is Adult Colouring Therapy? Why did we ever stop colouring in? Were you told that colouring in, arts & crafts were only for children? Well, if you are like me and life has become so stressful then colouring is your answer. Think back to when you were a youngster, and how relaxed and in the zone you were, when you were colouring. I know that it was one of my favourite past-times and I have even kept one or two of my childhood colouring books for posterity reasons. Make yourself a cup of coffee or in my case, a cup of tea, switch off all the distractions and devices and find your inner child who is waiting to be unleashed and colour away all your stresses. Adult colouring is not only for every adult who needs a creative outlet, but for any adult who needs to de-stress. In Fact, Therapists suggest colouring for personal development and relaxation. 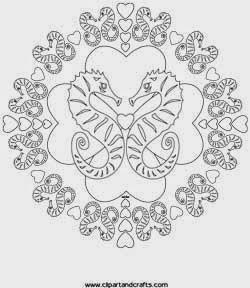 You will find colouring pages from Mehndi Designs to Nature Mandalas, SteamPunk Designs to Tessellation Patterns, Art Nouveau to Floral Designs, and the list goes on. The designs are more intricate, hence they are more for Adults than for Children. There's no right or wrong way and each page, even if you colour the same image, will yield a different coloured in image depending on your mood and materials used. Some of you will use the traditional crayons, however, why stop at that? Why not try pastels, colouring pencils, watercolour pencils, markers or even glitter pens. Download the image on different types of paper, such as watercolour paper or card stock or even textured papers. Don't forget to place a scrap piece of paper/wax paper behind the page you're working on, to prevent any bleed through. "Every child is an artist. an artist when you grow up." WHAT ARE YOU DOING FOR EARTH DAY, 22 APRIL? A few years ago, I had the pleasure of presenting an up-cycle workshop to a group of kiddies at the Reach for a Dream Camp Sunshine. We used the charity money tins (these are used to collect money from various establishments to raise money for this very worthy charity who make Dreams come true for terminally ill children). As the tins had just be counted, by me (part of my volunteer work for Reach for a Dream) and they were just lying around, I thought what better way to re-use them at the same charity and show the kiddies how they can make their own pencil holders. I prepared the coloured sugar paper just a little bigger than the tins. The kiddies then glued it to the tin and overlapped the top edge to give it a neat finish. They then decorated the tins as they pleased. Another up-cycle was using the washed juice bottles from the camp as a 'message in a bottle' project. The kiddies filled the bottle with sand, some small shells collected from the beach, wrote a message and placed it in the bottle and then decorated the outside of the bottle with some googly eyes and other bits and bobs. 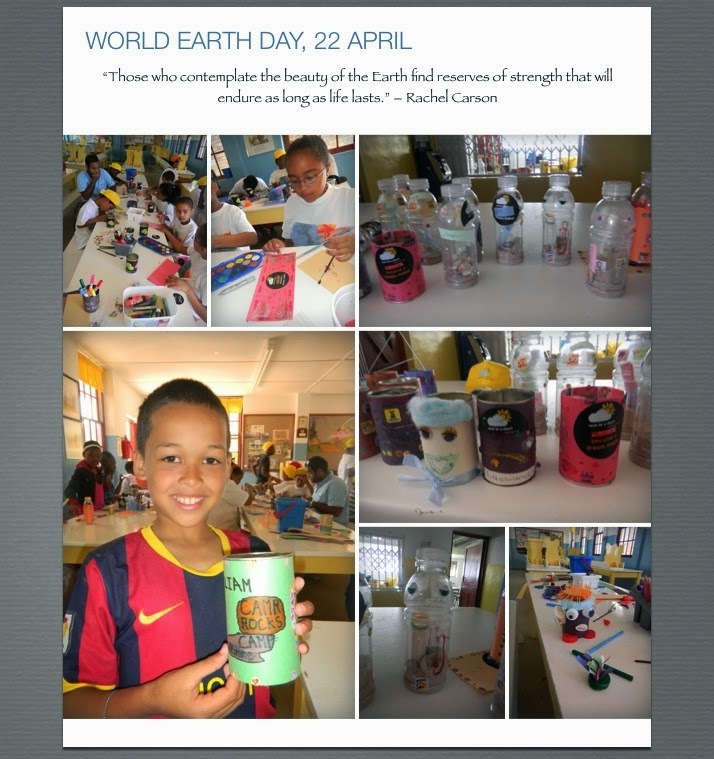 We had a fun-filled day and they got to walk away with up-cycled goodies that they could put to good use and we prevented these products from landing up in the landfill. 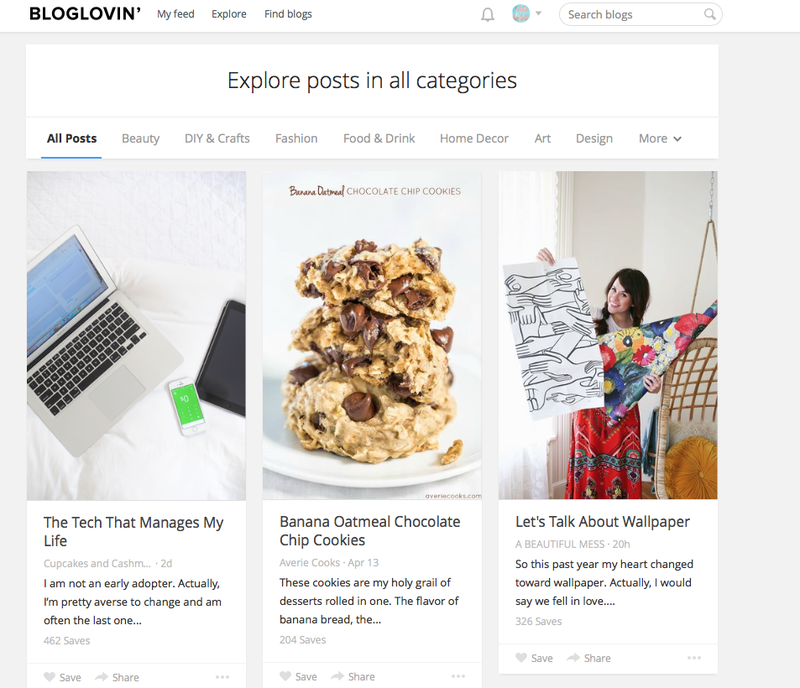 Bloglovin, is a tool to help you to keep up-to-date with all the blogs that you follow, all in one place. It is allows you to follow your blogs on any device. 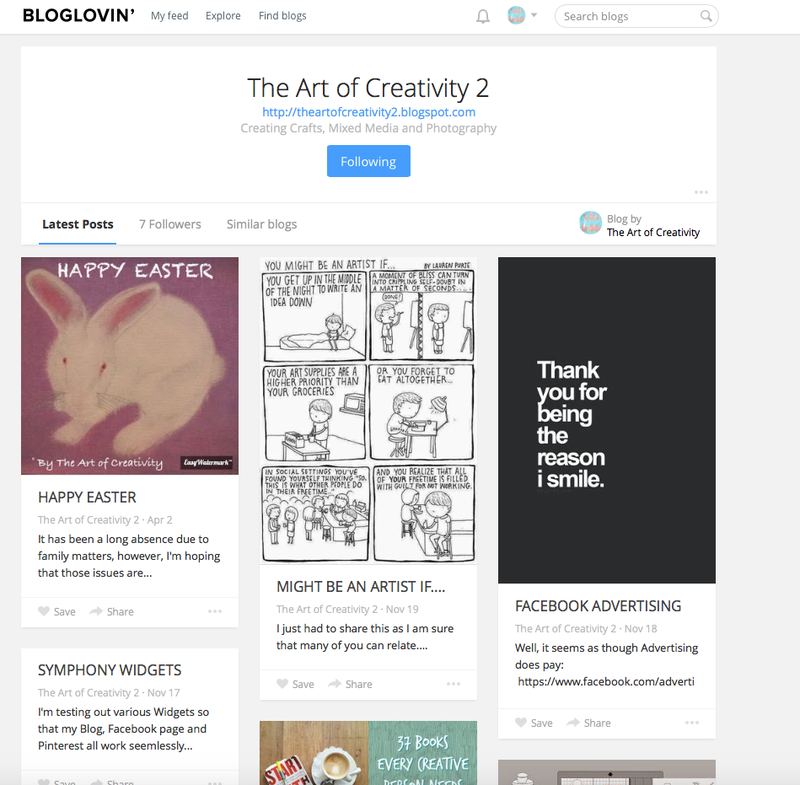 You can explore other interesting blogs from anywhere by browsing popular posts. Follow blogs on your favourite topics. Grow your blog to a larger audience/fan base. 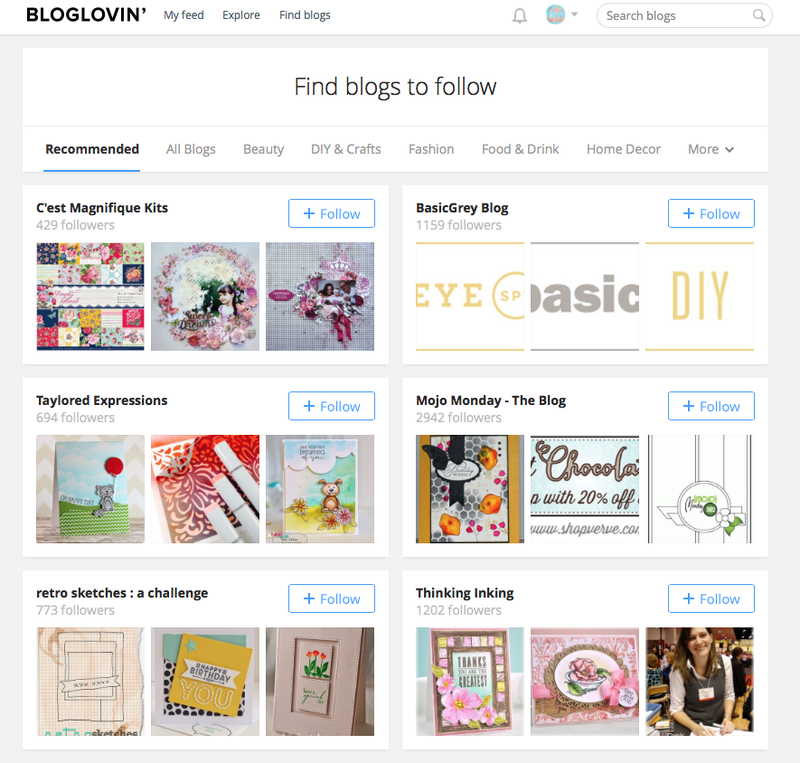 Easily see how many people are reading and following your blog. Claim your blog by registering for a new account via email or login in with Facebook. 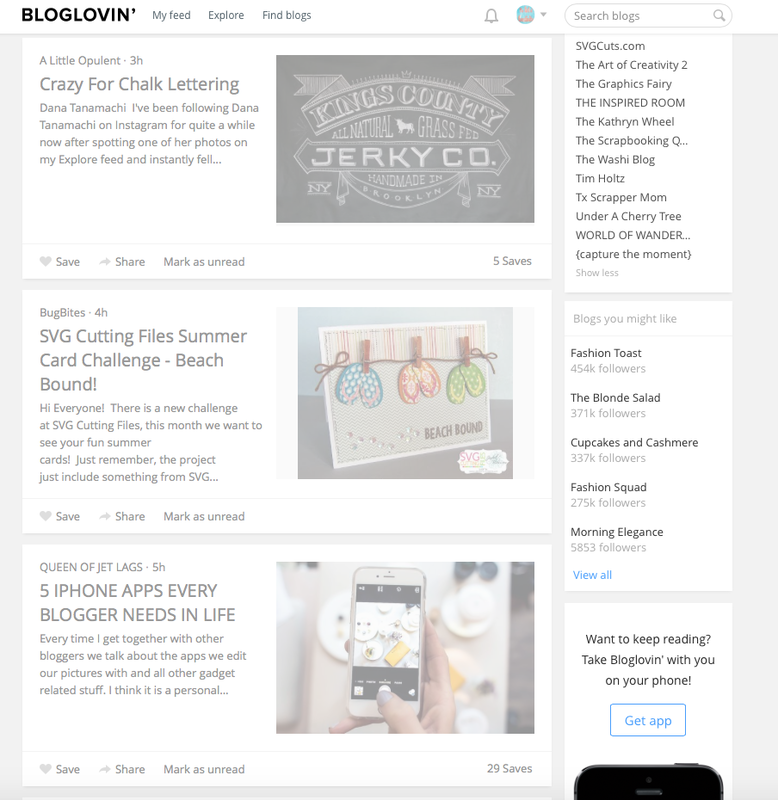 Follow the prompts and Bloglovin' will generate HTML code for you to cut and paste, you'll soon be on your way to start your own Bloglovin' experience. It has been a long absence due to family matters, however, I'm hoping that those issues are now resolved and I can continue with my Creativity. I have missed working in my studio and look forward to returning to it soon. I created this painting last year in honour of our family pet, Hopsy. Whilst living in the UAE, my children had been desperate for a pet, and continued to nag us for one. We have always had pets and obviously my husband and I eventually gave in, as a home without pets is a lonely one. Not long after we said okay did we inherited a tortoise, Chloe and soon after, Hopsy was added to the family. However, they were adamant that they also wanted a dog. Strays of Abu Dhabi was where we fell in love with Snowy, a Saluki and she joined our family of pets. Sadly, before the children and I left the UAE, Hopsy passed away. This is a tribute to her as she gave us much joy in her short time on earth. Unfortunately, Chloe was not able to travel with us and she found a new home. Snowy is currently living the life in Cape Town, with us, and enjoys her walks on the beach. 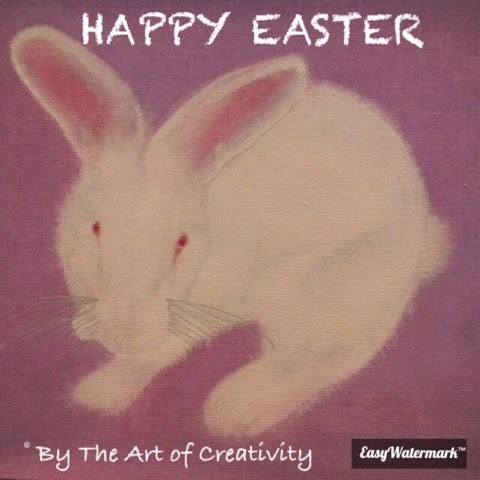 Wishing you all a Blessed Easter and much joy and happiness with your loved ones over the Easter break.